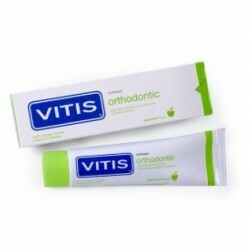 VITIS Orthodontic toothpaste is specially formulated for orthodontic patients. 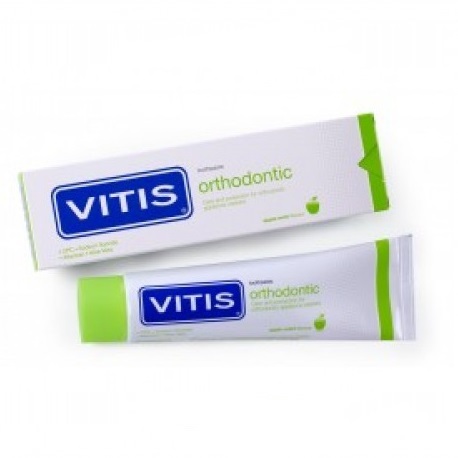 VITIS Orthodontic toothpaste offers daily prevention of common problems that occur from orthodontic treatment: lesions, ulcers, accumulation of oral biofilm (bacterial plaque), gingivitis, demineralisation of tooth enamel, halitosis, etc. When used on a daily basis, it provides the necessary active ingredients to maintain a health mouth: it inhibits the formation of oral biofilm, it protects the mouth, teeth, gums and oral mucosa, while remineralising enamel and preventing dental caries. 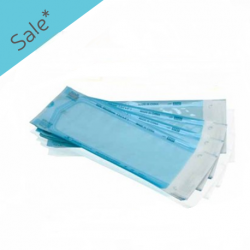 When used daily it keeps mouth clean and healthy during orthodontic treatment. It has a pleasant apple-mint flavour. 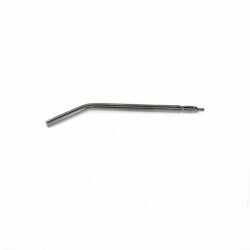 And its innovative texture allows for it to easily access spaces between orthodontic attachments. The toothpaste is suitable for people with orthodontic braces. It is also indicated for people who are prone to aphthous ulcers and other types of oral lesions. Clean teeth at least three times per day, and use a toothbrush that is adequate for orthodontic patients. Standard warranty covered by seller against any manufacturing defect. In such events, please report to us within 7 days from date of delivery at connect@lumiere32.sg.